He started playing guitar in 2001, and in 2006 he started opening for other bands, and doing his own live performances. 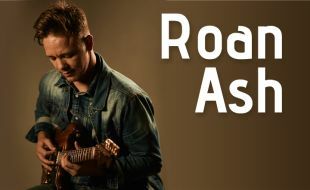 Since then, Roan has shared the stage with artists including Dan Patlansky, Matthew Mole Jan Blohm, Koos Kombuis, Arno Carstens, Vusi Mahlasela, Glaskas, Klopjag, Robin Auld, Albert Frost and others. Watch this talented artist perform, hits like “If I Ever Saw Heaven”, “Whiskey To My Soul” and “Darling” and many more.